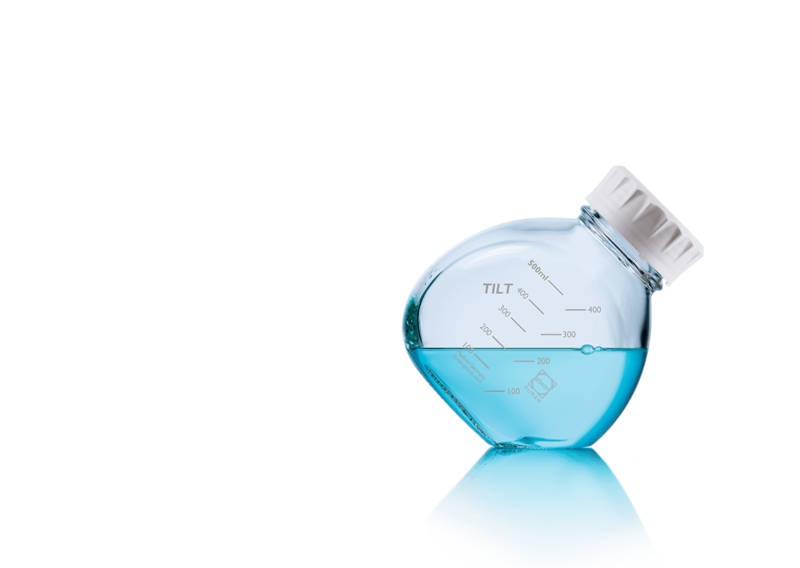 The TILT bottle has two positions: upright for filter sterilization or storage, and tilted at 45° for pipetting. 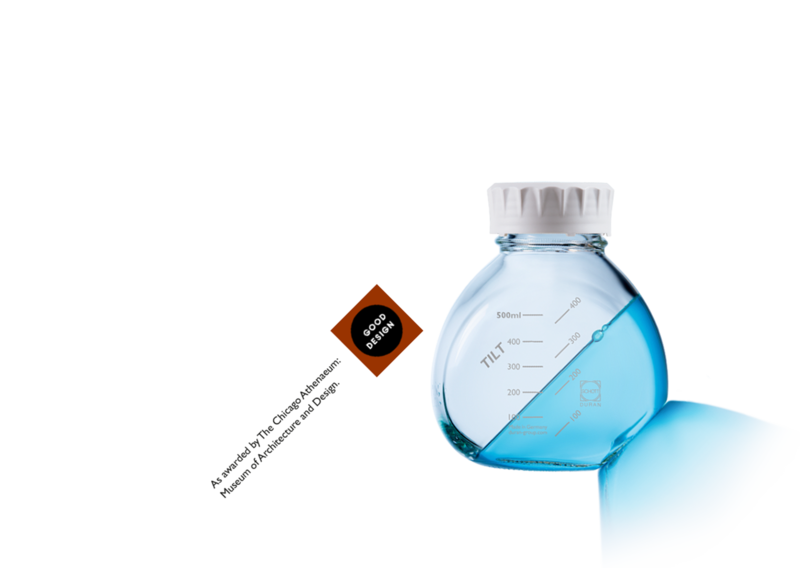 The stable and space-saving 500 ml bottle is perfect for fridge storage, or for warming media in a water bath. 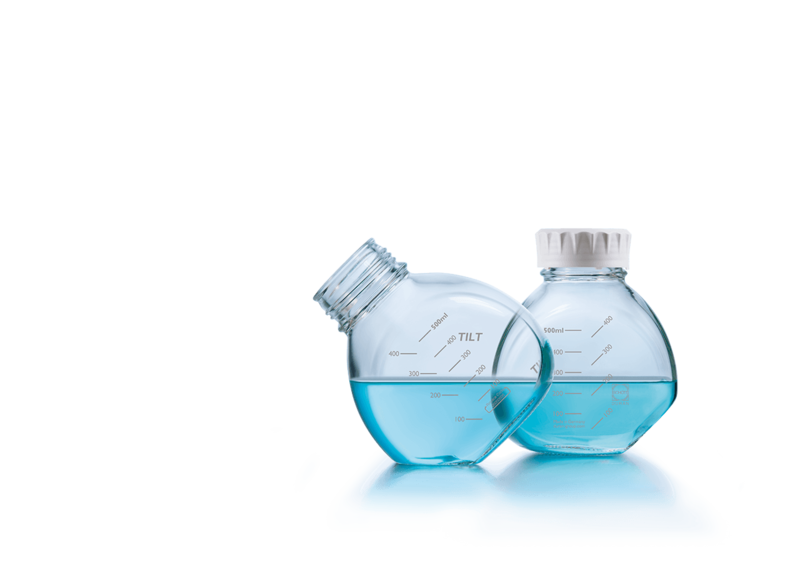 Take a look at cell culture media from a new angle and discover a bottle system that eases handling and turns usability into security. In the upright position, the vacuum resistant DURAN® TILT bottle system is ideal for filter sterilising or clarifying cell culture media. Low bottle height is practical in the biosafety cabinet. Designed for sterilization or clarification of aqueous cell culture media. Supplied as a filter funnel only unit for use with the TILT bottle or 45 mm media bottles. 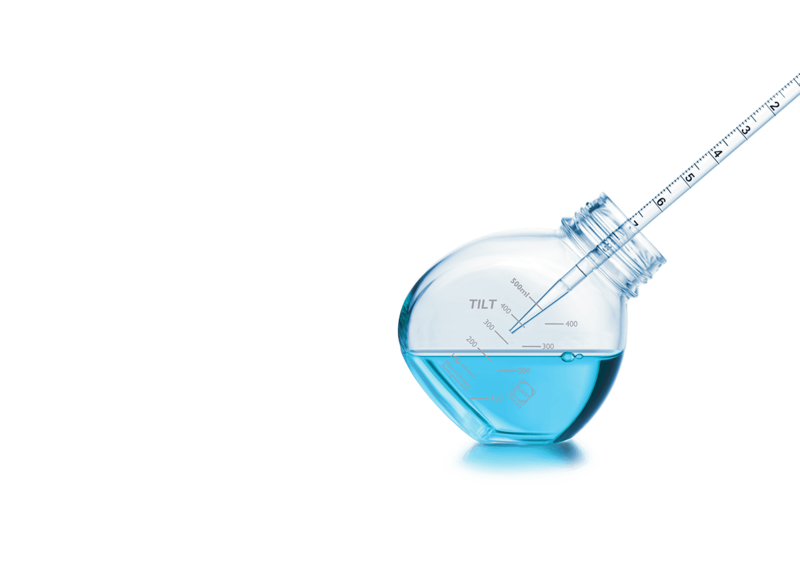 Comes in three different asymmetric pore sizes (0.1 μm, 0.2 μm, or 0.45 μm). Raised moulded graduation marks for easy volume reading. Manufactured in a Class 100,000 clean room from Class VI, non-cytotoxic materials. Supplied sterile. The re-usable adaptor allows the use of the TILT bottle with 45 mm filtration units for the filter sterilisation of cell culture media. 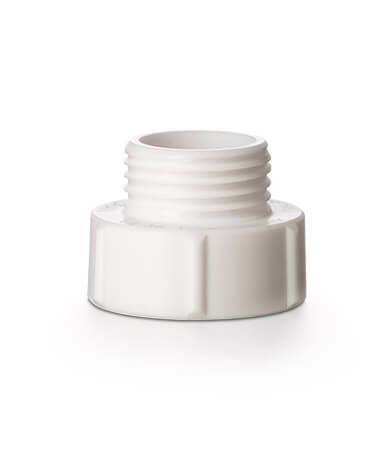 Manufactured from inert PTFE; can be autoclaved and de-pyrogonised at 300 °C. 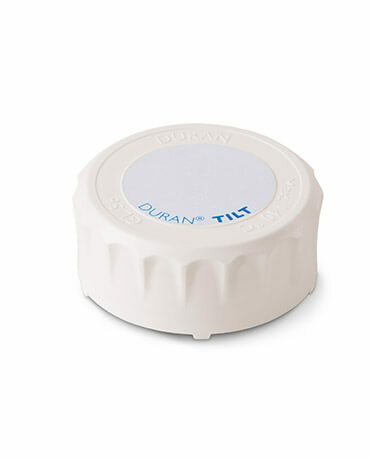 The DURAN® TILT bottle makes pipetting of media easier under the hood. 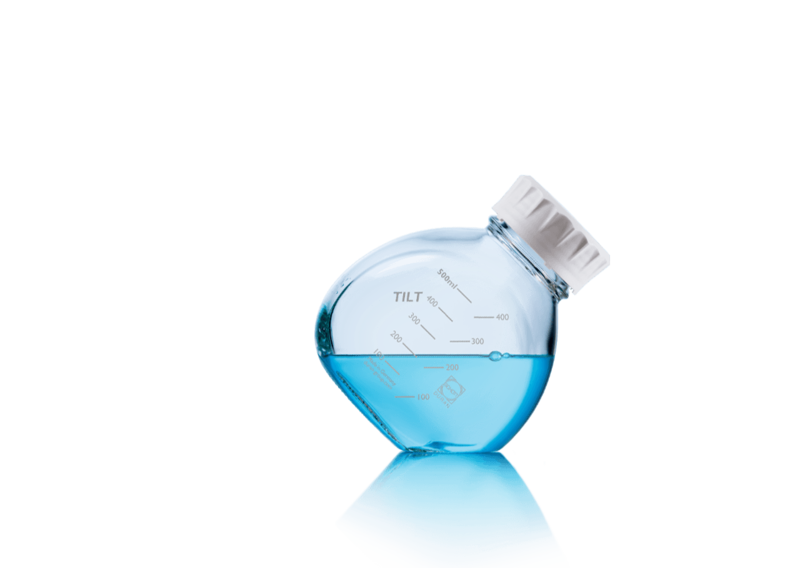 Tilt the bottle to its 45° position for pipetting instead of holding it in your hand. 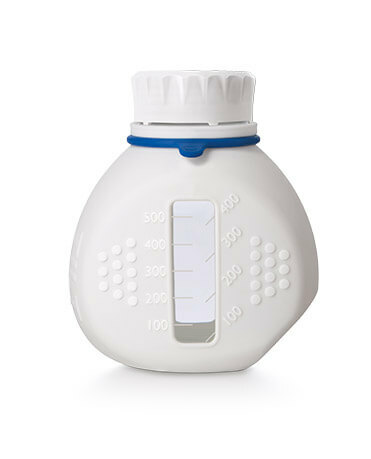 The compact bottle is easy to put through the gap under the sash, and is easier to use inside the hood. The innovative design enables both good aseptic and ergonomic practice. 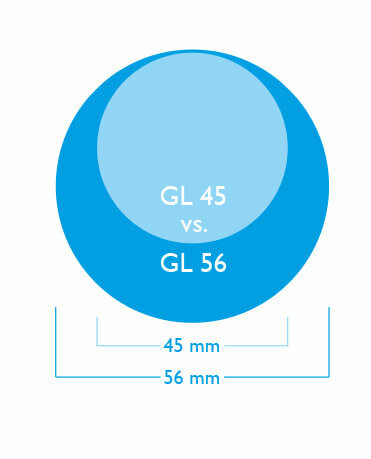 The GL 56 mouth is 100% larger than the GL 45. It accommodates even large volume pipettes (100 ml) and helps avoid contamination. Careful labelling is very important to prevent mix-ups and mistakes. 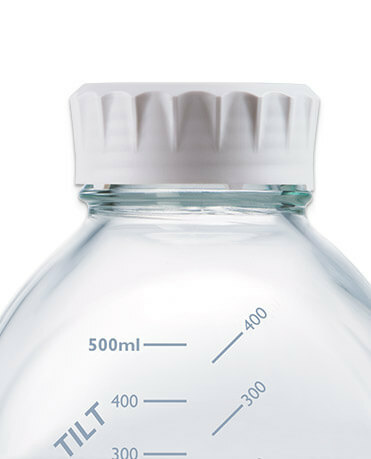 The GL 56 self-adhesive cap labels can be used to clearly indicate the separate bottles of media for each cell line, preventing possible cross-contamination. 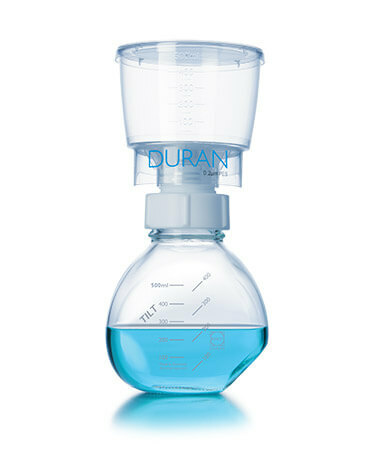 DURAN® borosilicate 3.3 glass is a tried and trusted material certified as non-cytotoxic (according to ISO 10993-5:2009). 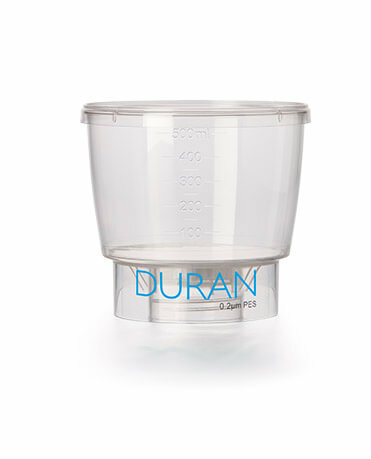 DURAN® glass does not leach any organic molecules that might affect the culturing of cells. 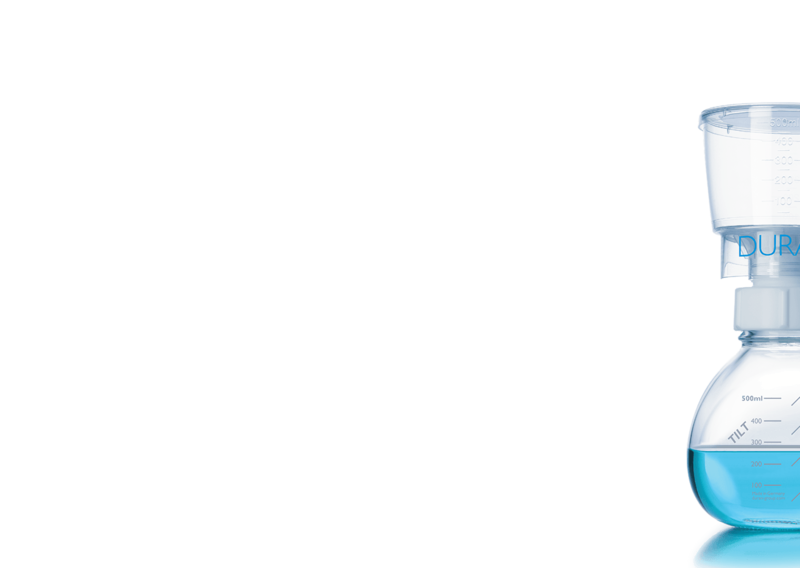 In addition, DURAN® glass may be depyrogenisated to destroy endotoxins using dry heat or chemical based methods. 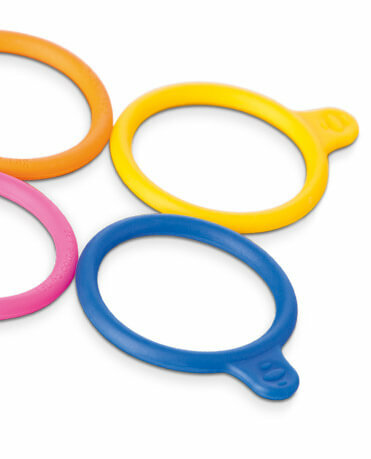 The GL 56 Bottle Tags are available in four colours (orange, yellow, blue and purple).